There's a bit of encouragement from political scientist and pollster Peter Wickham for the new political party, which, according to its Facebook page, was formed in June 2015, but only recently announced its presence. 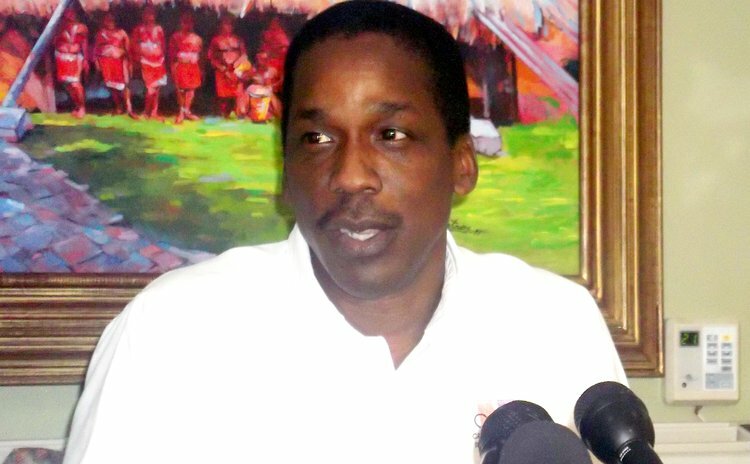 "Anytime a new party emerges it should be encouraged since it translates to a greater interest being taken in the political affairs of the nation and in this instance a new interest group is emerging which is never a bad thing," Wickham told The Sun of the People's Party of Dominica (PPOD). Yet, Wickham warned the "new interest group" that it would be faux-naif to reject the reality that third parties simply do not do well. "It is also useful to mention the plight of third parties in the region and note that in recent times we have seen the demise of the NDP [National Democratic Party] in Barbados and the NDM [National Democratic Movement] in Jamaica, along with a myriad other small parties that try to make an impact." PPOD announced itself without the sonorous fanfare that is expected of occasions like this. It simply issued a press release. Clearly seeking to separate itself from politics as usual and to point out that it would not be estranged from the electorate, the party said it was "driven with the passion of building a partnership" with its constituents, non-governmental organizations and foreign governments. "The aim is to work together with citizens to build them up as entrepreneurs, to build their businesses, and to build a better future for all citizens," it said in the release. The message was clear, that PPOD was not interested in the daily polarising rhetoric that has so divided the country against itself and has led to a crisis of confidence. This new party has cast itself as a solution, looking to make people's lives better by "mobilizing the people of Dominica, both in the Caribbean and in the diaspora" and to be "an inspirational tool to galvanize the people of Dominica, who passionately treasure and foster social unity, economic growth and meaningful change". It expects to bring all of Dominica together in their rejection of the current reality, erase the moral turpitude and create a new reality of togetherness, comfort and morality without being some sort of King Ralph. However, while stating that there is "clearly a market" for an alternative political body, Wickham suggests the new entity could be history by the end of the next general election. "The problem is that this party emerges against the background of the demise of the once dominant [Dominica] Freedom Party (DFP) which was unsuccessful in gaining any seats in the last election. Notwithstanding there is clearly a market for some alternative political force in the absence of a viable Freedom Party, although I hasten to add that such a party is unlikely to win a single seat and might therefore be unable to make it past the next election," the Barbadian pollster told The Sun. He said that "the vast majority of persons" who once supported the DFP appear to have become comfortable within the United Workers Party, although "a few persons remain" who would wish to be part of an alternative political force. "And this would be the type of person that the new party is going after . . . . We therefore need to await the outcome of the next election to gauge the impact of this new force," he concluded. PPOD said it was based in Roseau, although the contact number listed on its website has a Long Island, New York area code. It said its members were made up of "amazingly talented and capable people" but it was not immediately clear who forms its nucleus or who are its backers. PPOD has chosen the garden fork as its symbol and orange as its colour.